Update: iFixit tried doing a repair on its own, and didn't run into any lockouts. In new Apple computers with its custom T2 chip (currently the iMac Pro and MacBook Pro 2018 models) it serves the purpose of "the System Management Controller, image signal processor, audio controller, and SSD controller." That means it can handle the system's secure boot system and on the fly encryption, as well as image processing for the FaceTime camera. While the enhanced security is nice, it has additional implications. According to MacRumors and shown on documents posted by Motherboard, anyone doing significant repair work on these systems will be left with a nonfunctioning system until they run the "Apple Service Toolkit 2" diagnostic software. For the MacBook Pro that includes "display assembly, logic board, top case (the keyboard, touchpad, and internal housing), and Touch ID board," and on the iMac Pro, it's the logic board or SSD. 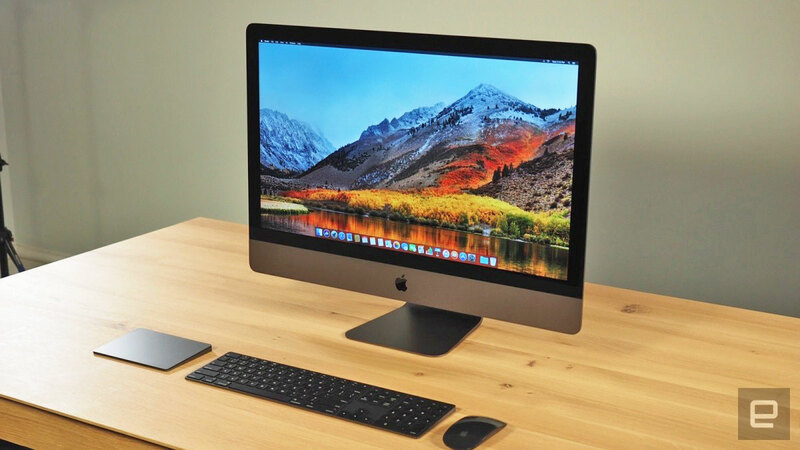 Earlier this year, 9to5Mac revealed that as a result of the T2 chip, diagnostic software and a USB-C cable has replaced a custom port on the logic board for extracting data from partionally functional systems. You'll also need a functioning system, which is also necessary to restore an iMac Pro. Only Apple Stores or authorized repair providers would have access to the cloud-connected software, which means independent repair shops or owners themselves are locked out of repairs they'd otherwise be able to perform. Apple has not responded to the reports, but this appears to be an extension of the trend seen already on iPhones. Third-party repair companies have recently seen trouble replacing screens even with genuine Apple displays, and swapping out a TouchID or FaceID sensor requires specialized hardware to authorize the new parts. It's a big part of the fight over "right to repair" laws, as consumers, repair shops and hobbyists argue that they should have access to modify things they own without worrying about DRM-like lockdowns. Update (10/5): While Apple hasn't responded to our request for a comment, the people at iFixit went ahead and checked the situation out on their own. Despite what the leaked documents indicated, they replaced the display on a 2018 MacBook Pro with the T2 chip and it continues to work -- no specialized software necessary.